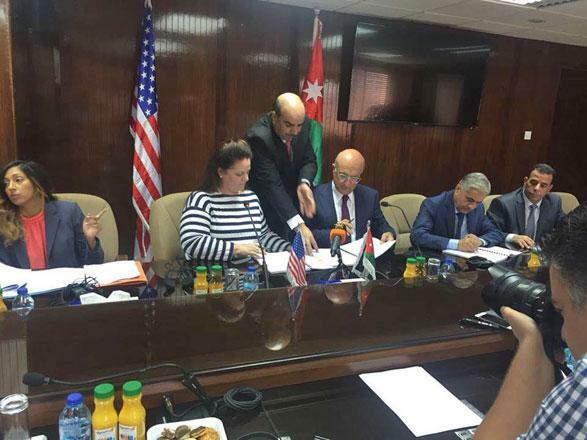 AMMAN — Jordan and the US on Wednesday signed two grant agreements worth $166 million to rehabilitate Amman’s second main water resource and install smart metres to slash water loss. Minister of Water and Irrigation Munir Oweis and USAID Mission Director in Jordan Nancy Eslick signed the two agreements, which aim at implementing the goals of Jordan’s 2016-2025 national water strategy that seeks to generate additional water amounts and reduce Jordan’s water loss from the current 43 per cent to 25 per cent by the year 2025. The first agreement, worth $13.8 million, will be dedicated to improving Zara-Maeen Water Treatment Plant’s supply system and reduce operational and maintenance costs. “The plant’s operational and pumping systems will be revamped as new, energy-efficient pumps will be installed for pumping water from the Jordan Valley, the lowest point on Earth, to Amman,” Oweis said during the signing ceremony. The $125 million Zara-Maeen Water Treatment Plant, which provides the capital with 45 million cubic metres of water annually, was completed in 2007. 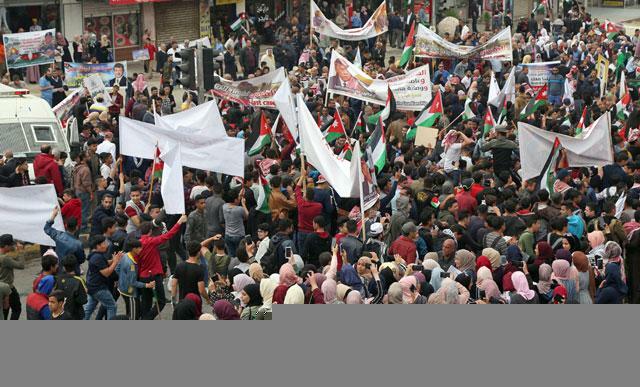 The project was designed to increase potable water supplies to the capital and the Dead Sea tourist areas by 40 per cent, benefitting 2.5 million people. The Zara-Maeen facilities, 74 per cent of which are funded by USAID, treat saline water collected from three nearby wadis — Mujib, Zara and Maeen — which are delivered to the site under a separately funded Jordan Valley Authority project. 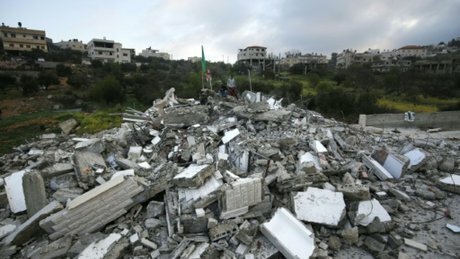 The facility includes a pre-treatment system, a desalination plant, six pumping stations and an advanced monitoring and control system, Aziz Yassin, head of production quality at the plant, told reporters. A 41-kilometre pipeline conveys 110,000-115,000 cubic metres of water daily to the greater Amman area. The Zara-Maeen plant is one of the country’s strategic water mega-projects intended to address the annual water deficit, which is expected to rise to 350 million cubic metres by the year 2020. Meanwhile, under the second agreement, worth $152.1 million, main and tertiary pipelines will be replaced, while traditional water metre will be replaced with smart ones that provide more accurate readings, according to Oweis. Acknowledging Jordan’s dire water shortage, Eslick highlighted that her country’s investment in sustaining the safety and efficiency of the Kingdom’s water supply system is one of the major pillars of cooperation between Jordan and the USAID, noting that it also aims at developing additional water resources and building a resilient water sector. Eslick added that the USAID is extending $152.1 million to reduce water loss by detecting leaks in the networks and fixing them. In 2015, the Jordan Water Company (Miyahuna) replaced regular water metres with the smart gauges in certain parts of Amman. At the time, Miyahuna said that the smart water metres provide "very accurate readings" and that it was difficult to hack them as they were fitted with a recorder that detects any tampering attempts, thus limiting violations and water loss.